I've been planning this project ever since Audrey failed to correctly identify all 5 oceans on a geography test. That's right, she incorrectly labeled the ocean she has lived alongside her entire life. Sigh! I immediately designed a notebook cover using this adorable Out to Sea panel but that seemed a bit like cheating:-) The class moved on to other topics and I moved on to other projects but while organizing my fabric stash I stumbled upon this panel and decided it was time to finally use it. I cut out the panel and then added triangles from my stash to look like bunting. The quilting was the hardest part of this project. 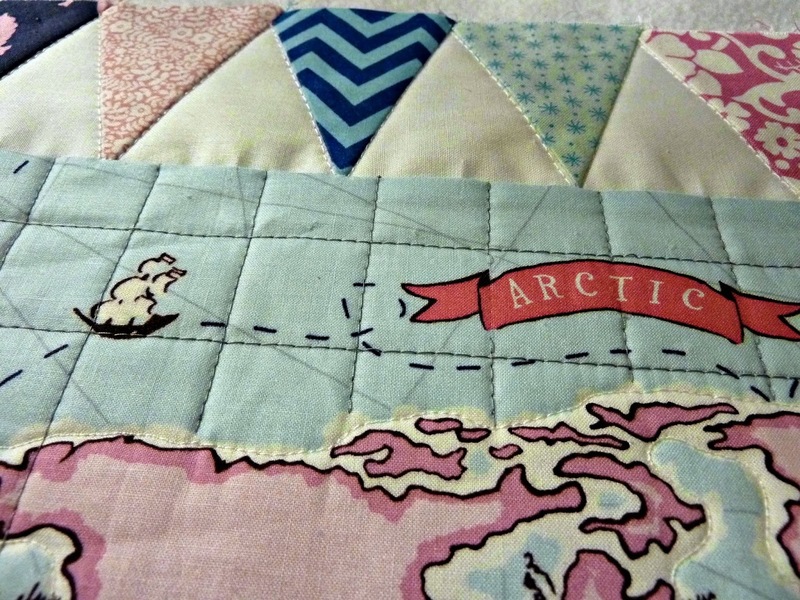 I've never spent so much time adding quilting that is virtually invisible when you look at the pillow. 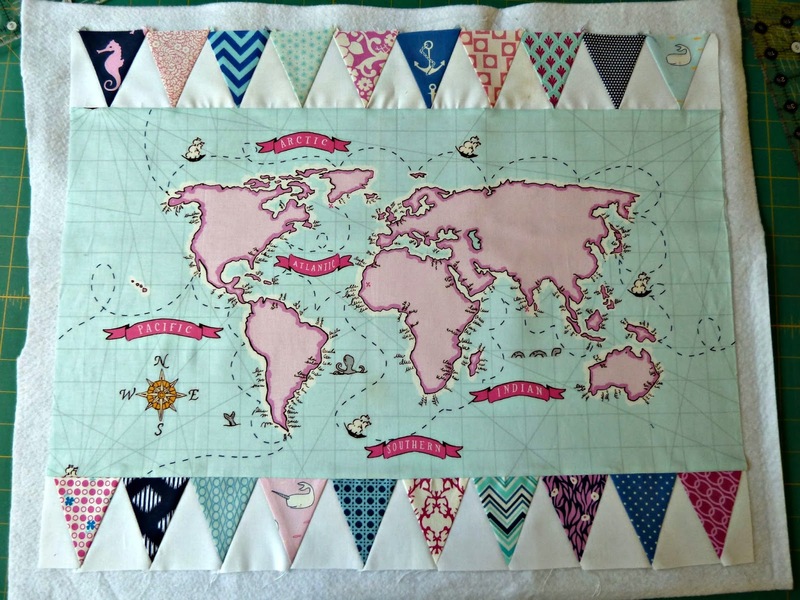 I was really worried about doing the FMQ around the continents but it went really quickly and white thread on white fabric disappears. From there I quilted over the gridlines. It wasn't difficult but with all the breaks for the design it took forever!!! In the end it was worth it, it adds a wonderful sense of texture to the pillow. For the back I added a vertical row of triangles to look like burgees and used this cute pirate girl printalong with the narwhal. 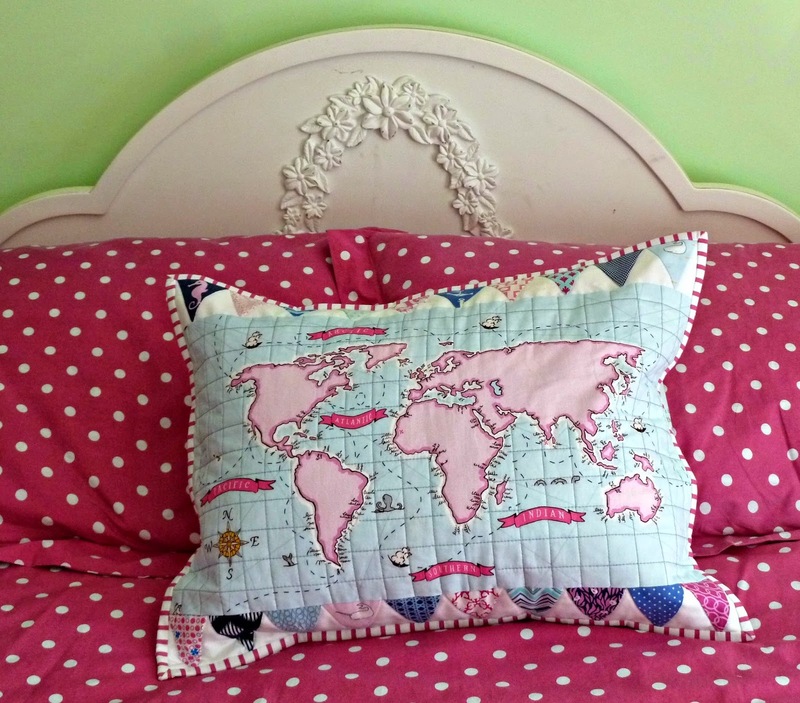 Finished pillow cover is 17" x 22"
Love the new map quilt. I also enjoyed the story behind it. Thanks for sharing - it is lovely! 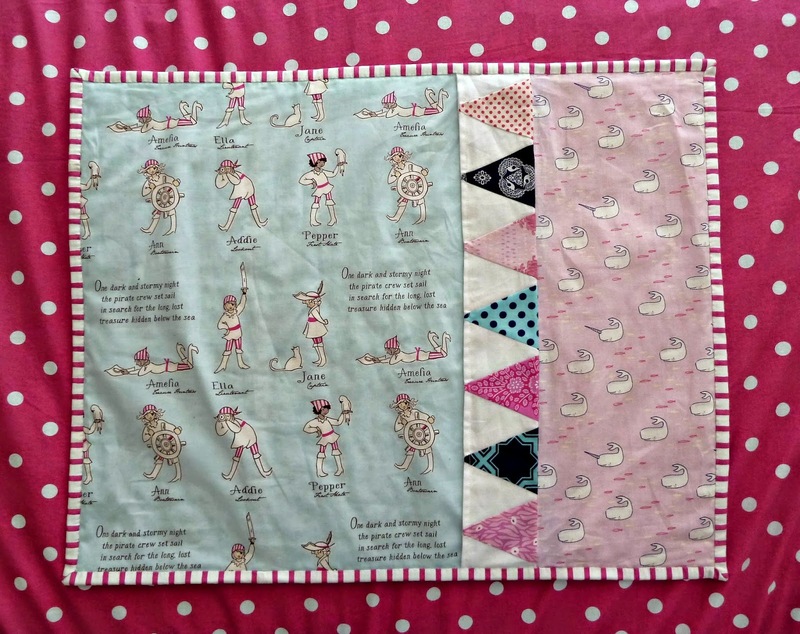 Cool idea with the bunting and the quilting is just perfect! I am most distressed that New Zealand doesn't appear on that panel, which is otherwise lovely!!! lol. 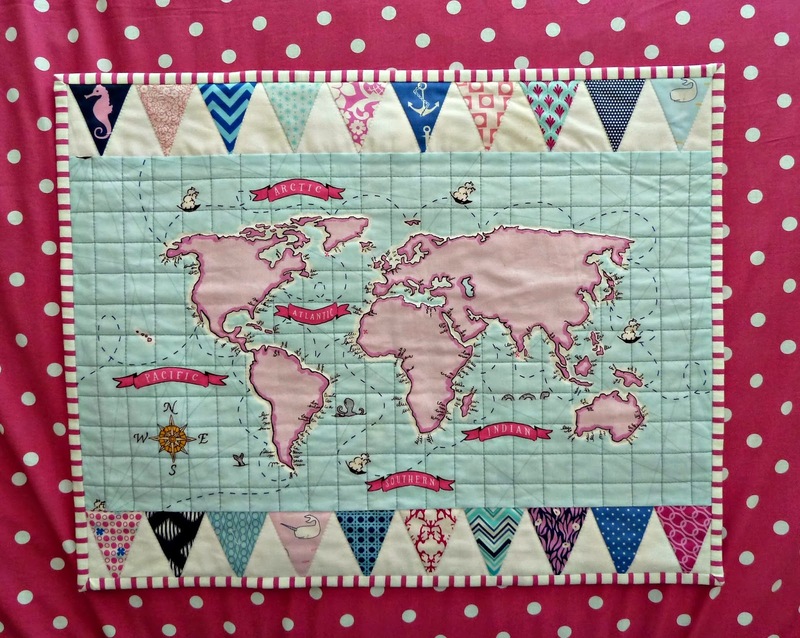 What a great use of that map print, I love it! 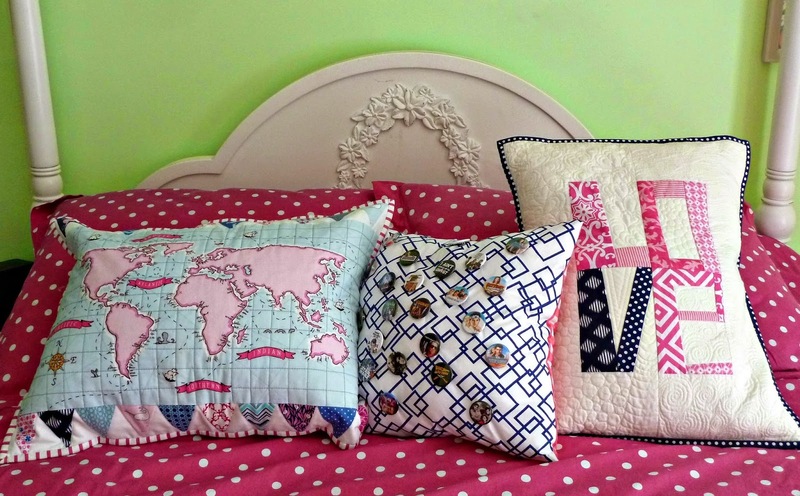 What a fabulous idea, and a fabulous pillow! Good going, Mom!